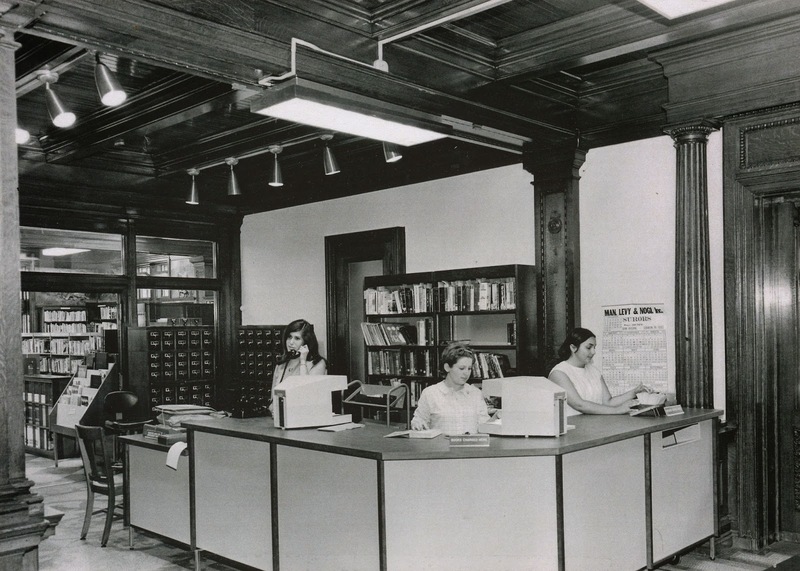 This photograph from the History of the Scranton Public Library Collection shows what was, in 1969, the "new" Circulation Desk. Note its location in front of the Men's Room, the lack of computers, and the catalog card drawers. Marie Crispino, pictured on the right, is still employed by the library as our Head of Public Services. The room behind the glass on the left, now the library's Administrative Offices, was then the Children's Department. It remained this way until 1987 when the Lackawanna County Children's Library was opened.